Do you love the heavy guitar riffs blasting out from the speakers loud enough to wake up the whole neighborhood? Do you miss the long hair and the tight leather pants? Well, then Metal Casino is the right place for you! This online casino was launched in 2017 and it’s 100% dedicated to heavy metal fans all around the world. Metal Casino is one of the latest brands from the IGC/GIG platform that have produced some of the most popular online casinos in recent years. The platform is powered by an impressive combination of game vendors including NetEnt, Microgaming, Play’n GO, Yggdrasil, iSoftBet, BetSoft, IGT, ELK Studios, Next Gen Gaming, Big Time Gaming and Pragmatic Play just to name a few. Metal Casino house close to a thousand games where the larger part is video slots but you can also find a good selection of card/table games, video poker games and jackpot slots. There’s also a great collection of live dealer games that are provided by Evolution Gaming. Metal Casino is fully supported on all devices and operating systems. The game lobby at Metal Casino is presented in a normal grid pattern of the game icons. The catalogue can be navigated by the different game types but also by different “metal” catagories such as Most Popular, The Classics, Metal Gods, Number of the Beast and High Voltage. Players can also use the search function to locate games by title, categories or by game provider such as NetEnt, Yggdrasil, Play’n Go etc. Metal Casino’s support is available around the clock, seven days a week. They can be reached by using the live chat function or by e-mail. Metal Casino also have a great help page which include an extensive FAQ section where information regarding account management, payments & withdrawals, verification procedures and technical issues can be found. Metal Casino is available in English and Swedish. Metal Casino is operated by MT SecureTrade Limited. They are licensed by the UK Gambling Commission, the Malta Gaming Authority and the Swedish Gambling Authority (Spelinspektionen). Metal Casino meets the highest standards of player fairness, safety and responsible gaming policies. Metal Casino: Grab Epic Offers on your First Two Deposits! The three Golden Wheel Spins are distributed 1 spin per day from the first day of deposit. Winnings from the Golden Wheel Spins can be Free Spins, MetCoins or Jackpot. MetCoins can be used to buy spins on specific video slots, merchandise, concert tickets and much more from the Merch Room. 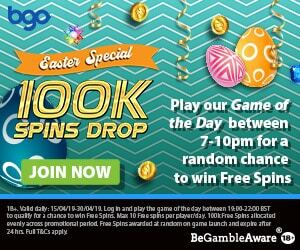 – Min Deposit £/€10. Neteller & Skrill Excluded. – Wagering: 50x the bonus amount. – Bonus Max Bet £/€5. – Valid for 30 days. – Max Cashout: 20x the deposited amount. Click here and join Metal Casino and claim your Welcome Bonus Package! More Promotions at Metal Casino! Metal Casino offer a great set of fun and exciting promotions that members can enjoy. The cool thing here is that it’s all themed around Metal. In the Weekly Raffle players can win cash prizes or some very interesting merchandise prizes from some of the Ambassadors of Metal Casino. These merch prizes are often signed instruments and other things from Ozzy Osbourne, Scott Ian and Gary Holt to name a few. Other promotions that members of Metal Casino can enjoy is the World Tour where the player will go on tour and visit historical metal landmarks and climb the loyalty scheme as they go along. The Late Night Mosh Pit is where the players can earn extra MetCoins every evening. Metal Casino is fully loaded with extra player promotions so make sure you keep an eye on your email and phone inbox so you don’t miss out. Metal Casino has gathered a very impressive list of brand ambassadors. These are all legends of the Heavy Metal scene and includes names like Ozzy Osbourne, Scott Ian, Gary Holt, David Ellefson, Ron Thal, Lord Ahriman and Ryan Roxie. Make sure to check out the Ambassador page for more information. Metal Casino accepts all major payment methods such as credit/debit cards, direct bank transfers, e-wallets and different regional methods that differ from one country to another. All transactions and other stored information are secured using the most sophisticated encryption technology available. Popular Online Video Slots at Metal Casino! Metal Casino house an incredibly diverse collection of video slots which has been selected from the most popular game vendors such as NetEnt, Play’n GO, Microgaming, Yggdrasil, BetSoft, ELK Studios, IGT to name a few. Some of the most popular video slots at Metal Casino at the moment are Book of Dead, Guns’n Roses, Dead or Alive, Viking Runecraft, Rocket Fellas Inc, Starburst, Gonzo’s Quest and Dazzle Me. Metal Casino is also a great place to play if you fancy to take your chance on some multi-million jackpot slots. They house a number of the highest paying progressive jackpot slots such as Mega Moolah, Mega Fortune and Hall of Gods.